DETROIT — Ford Motor Co. expects the first diesel version of its F-150 pickup, which goes on sale in Canada and the United States this year, to produce a highway fuel economy rating of 30 mpg or 12.75 litres per 100 kilometres. The diesel variant, announced last year as part of the F-150's 2018 model freshening, will have a 3.0-litre Power Stroke engine rated at 250 hp and 440 pound-feet of torque — both best-in-class numbers, Ford said. It's meant to appeal to customers who tow and haul more than normal. Officials expect a segment-best 916-kilogram (2,020-pound) payload and 5,171 kilograms (11,400 pounds) of trailer towing capability. "It's the next logical extension," said Todd Eckert, the F-150's marketing manager. "We're always looking for opportunities to expand the lineup to meet the needs of customers." 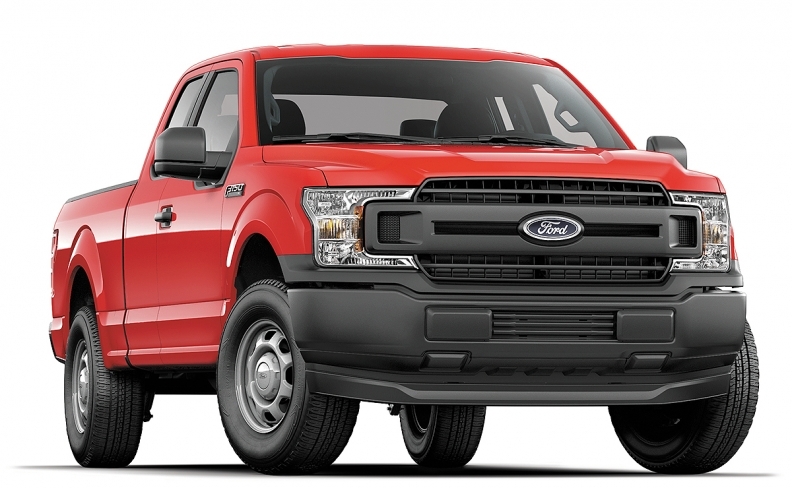 The engine will be mated with Ford's 10-speed transmission, introduced on the 2017 F-150. Truck enthusiasts have clamoured for a diesel option, and some rivals have offered diesels on full-size and midsize pickups. But Ford insists it's not lagging the competition. "We don't think it's late," Eckert said. "It's right on time, right when we planned it." Ford said it expects the diesel engine to account for roughly 5 percent of retail sales. Canadian pricing hasn’t been announced, but it will cost US$2,400 to US$4,000 more than other F-150 engines in the United States. Ford Canada told Automotive News Canada it will announce pricing soon. Retail customers may get the diesel on the three highest F-150 trims: Lariat, King Ranch and Platinum. Fleet customers, may order a diesel in the less expensive XL and XLT trims. The diesel will be offered on the 4x4 and 4x2 versions of the SuperCab and SuperCrew. Eckert said dealers will begin taking orders for the diesel F-150 in mid-January. The trucks will be delivered in the spring. The F series is the automakers most popular line in Canada. In fact, the series has been Canada’s best-selling truck for 52 consecutive years, through 2017. Total F series Canadian sales were up 6.8 per cent to 155,290 units in 2017 when compared with the year before. The engine, made in England, is a variant of the Lion diesel that Ford builds for use in Land Rover and Jaguar vehicles.